LISBON–The East Palestine softball team flexed its muscle with a doubleheader sweep over Lisbon Saturday. The Bulldogs took the first game 11-6, powered by five runs in the top of the seventh. Kenzee Johnston propelled the Bulldogs with four hits, including a double, and three RBIs. Sara Buskirk had two hits and two RBIs. Autumn Oehlstrom homered, tripled and doubled for Lisbon. She finished with three RBIs. Emma Thompson had two doubles and three RBIs. In the second game, the Bulldogs scored six runs in the fourth inning to rally past Lisbon 8-4. Taylor Hostetter had two hits and two RBIs for East Palestine. Harlie Detrick provided three hits and an RBI. Oehlstrom had a double and an RBI for Lisbon. Lindsi Welsh added a single and an RBI. LI–Emma Thompson, lp, (3 2/3 IP, 0K, 3BB), Sam Tinsley (2 1/3 IP, 1K, 0BB). HANOVERTON–The Minerva softball team picked up an 8-3 win over United Saturday. Gabby Street powered the Lions with a home run, while Amber Hume doubled and tripled. Kiaunna Brown added three hits, two runs scored and a steal. United pitcher Annie Paterson struck out 16, but took the loss. Minerva is now 6-4 overall. M–Lauren Frigyes, wp, (6IP, 5K, 1BB), Olivia Kamph (1IP, 0K, 0BB) and Elyssa Imler. U–Annie Paterson, lp, (7IP, 16K, 3BB) and Alyssa Inman. COLUMBIANA–Indian Creek blasted Crestview 11-1 in softball action Saturday. Olivia Strank and Brittany Coblentz each had two hits for the Rebels. Trinity Boston, Baylie Bettura and Leigha Anderson all collected one hit. 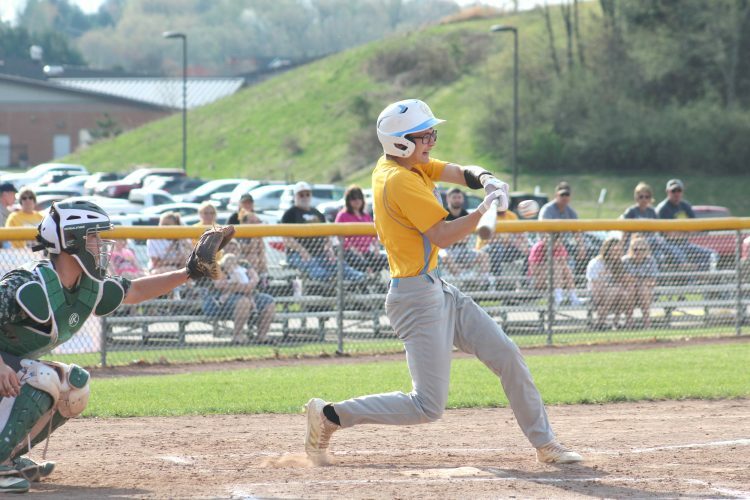 CAMPBELL–Leetonia picked up two wins over Campbell on Saturday. The Bears won 20-6 over Campbell in game one. Haley Ward, Kaylie Eastek, Lissie Lorch and Taran Ferry each had RBI singles. Leetonia won game two 24-12 being led by Eastek who had two triples, a double and a single. Delaney Roller and Haleigh Brock each had two hits for Leetonia. Leetonia will travel to Lisbon on Monday.